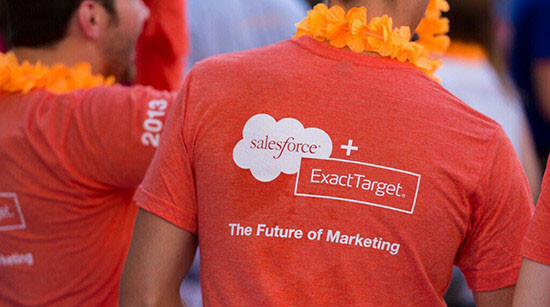 ExactTarget is Now Salesforce Marketing Cloud. Salesforce's acquisition of ExactTarget in 2013 accelerated the growth and leadership of Salesforce Marketing Cloud. The combination of ExactTarget's industry-leading marketing automation and email campaign management capabilities — with Salesforce's leading social marketing solutions in Radian6, Buddy Media, and Social.com — delivers the marketing platform of choice for CMOs.